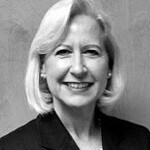 MANSFIELD, Mass.–(March 19, 2012)–Quadrant Software, LLC the leader in Document Output Management (DOM), today announced the appointment of Barbara Snyder Martinez to the position of Director, Channels and Strategic Partners. In her new role, Martinez will manage the planning and execution of worldwide alliance initiatives, partner strategy and overall channel opportunities tied to the company's long-term growth strategy. "Working in the document output industry, I was very familiar with Quadrant Software, their products and reputation for superb customer service, and had a great deal of respect for the organization," said Martinez. "Under its new leadership, Quadrant Software is building upon this strong tradition and is doing some truly innovative things. It is an exciting time to be joining the Quadrant team and I look forward to expanding our existing partnerships and establishing new alliances that will carry us well into the future." 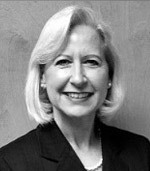 Prior to Quadrant Software, Martinez held channel and business development positions at InfoPrint Solutions, IBM Printing Systems and the IBM Software Group. In those roles she was responsible for developing and expanding relevant channel initiatives and partnerships while increasing revenue streams. Martinez also held the role of software manager at the IBM Innovation Center for Business Partners as well as a variety of sales and sales management positions at IBM. "Barbara Martinez brings the right combination of document and channel experience we need for this strategic role," said Steve Woodard, president and CEO of Quadrant Software. "Channel relations and alliances are a significant focus for us and we're confident that she not only has the right level of experience to ensure the current partners continue to prosper, but also that the new relationships we forge will as well."